Positive Detroit: Get Your Free Slurpee Tomorrow on 7/11!!! 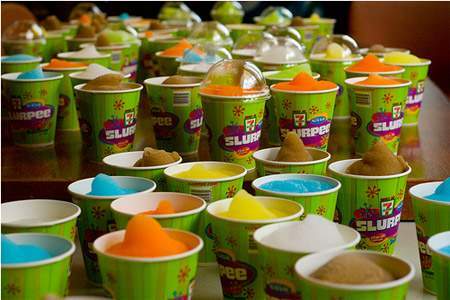 If it’s July 11 or 7/11, then Slurpee drinks must be on the house at 7-Eleven stores. That’s because this Saturday is 7-Eleven's Birtday! 7-Eleven is planning to give away close to 5 million free 7.11-ounce Slurpee drinks to celebrate its 82nd birthday at more than 6,000 stores in the U.S. and Canada. Click HERE for your local 7-Eleven location!